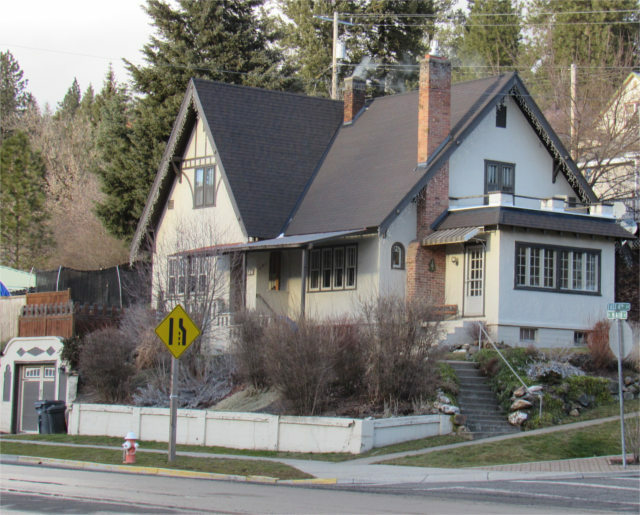 Harry and Fern Campbell House, 101 E 4th Street, Troy, Idaho. 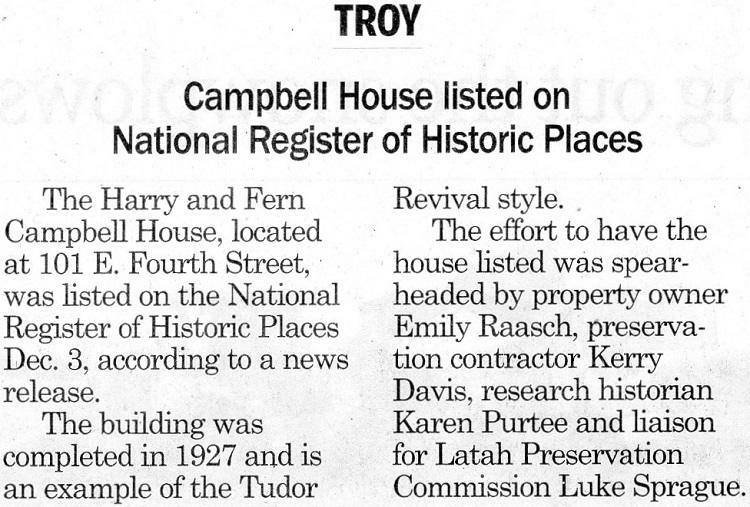 On December 3, 2018, the National Park Service listed the Harry and Fern Campbell House, 101 E 4th Street, Troy, Idaho, on the National Historic Register of Historic Places#: SG100003175. The listing is the result of a multiyear effort by the author along with the members of the Latah Preservation Commission. It takes a team to successfully complete a National Register of Historic Places nomination. The building, completed in 1927, is locally significant for architecture that represents a vernacular variation that is both an excellent and unique example of the Tudor Revival style. While it clearly expresses the key character-defining Tudor Revival features – steep roof pitch with cross gable, moderate eave extension with decorative bargeboard, faux half-timbering, and a prominent brick chimney – it also incorporates hallmark elements of the contemporary Craftsman style, such as knee brackets under the eaves, exposed rafter tails, and three-over-one double-hung wood windows with vertical muntins. This is one of Harry's first frescoes in the sun room above the fireplace. 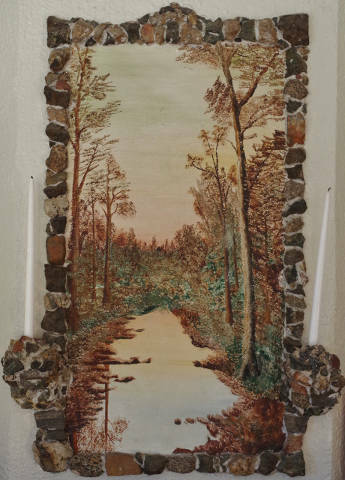 Harry painted a number of frescoes throughout the house on the walls and then framed them as if they were built into the wall.